The Louisiana Legislative Auditor says five of 60 Medicaid recipients it studied, or eight percent, did not qualify for the program. Auditors say the results suggest the state has been making payments on behalf of thousands of Medicaid participants who should have been ruled ineligible. The report, released Monday, is the auditor’s second review of the Louisiana Department of Health’s eligibility verification process following the expansion of Medicaid under Gov. John Bel Edwards. As with the first report, LDH largely agreed with the auditor’s findings and recommendations and said a new eligibility-verification system will address the problems. Auditors reviewed a sample of 60 adults who participated in the expanded Medicaid program between July 2017 and February 2018. For all 60 recipients, auditors found, LDH did not utilize federal or state tax data to verify recipients’ tax filer status and household size or to verify certain types of income, such as self-employment or out-of-state income. "We consider the department’s decision to not use tax data a weakness in internal control because tax data is the only trusted source for these critical Medicaid eligibility factors," the auditors say. "Based on the federal definition of improper payments, [Medicaid’s federal regulator] could consider all related payments improper." Auditors found LDH made payments totaling $60,586 to managed care organizations on behalf of five ineligible people in its 60-person sample. Using their sample as a guide, auditors say LDH likely made payments on behalf of 17,623 recipients out of an expansion population of 220,292. While they didn’t venture an estimate of how much the department spent on those recipients, they said LDH could save $111 million annually with better eligibility controls. The report also says that for some recipients, LDH allowed caseworkers to renew eligibility without contacting the recipients, failed to retain signed Medicaid applications, and allowed people to apply on behalf of adults over whom they had no legal authority. In LDH’s response, undersecretary Cindy Rives says the department "continuously works to strengthen its eligibility determination processes." In particular, she touted LaMEDS, a new system that the department says is able to connect in real time with state and federal databases to verify income eligibility along with citizenship, disability and lawful presence in the country. The new automated system will replace inefficient manual processes for caseworkers with modern technologies and electronic data sources, the department says. However, LaMEDS will not be able to incorporate federal tax information into the verification process until May 2019, Rives says. Last month, the Legislative Auditor reported that LDH may have spent as much as $85.5 million on behalf of people who were enrolled in the program but were making too much money to be eligible. "The Department’s process for determining Medicaid eligibility has been a very manual and time-consuming process based on income information provided by applicants," Dr. Rebekah Gee, the department's secretary, said in a prepared statement when the November report was issued. "Effective today, and after more than three years of development, the Department has launched a new automated system for Medicaid eligibility and enrollment that will improve customer service, boost efficiency and increase the accuracy of eligibility decisions." 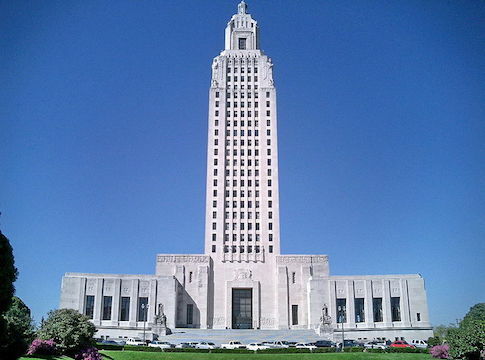 Louisiana lawmakers in November approved extension of a contract, which a Division of Administration spokesman said is worth up to $176.7 million, that is meant in part to help LDH put the finishing touches on the new eligibility system. The federal government is paying most of the cost. The November report focused solely on wage verification, the Legislative Auditor says. The report released Monday evaluated the overall process for making eligibility determinations in light of new federal guidelines for using modified adjusted gross income.